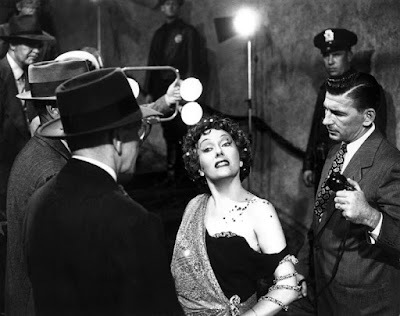 Sunset Boulevard (1950), starring Gloria Swanson, is one of my TCM picks for this week. This week's TCM lineup features five nights of films with great endings and a birthday tribute to Joan Crawford on Friday. Note: All times are ET and the highlighted text as links to full-length articles. Here's a link to the complete schedule for March 19-March 25. Strange Cargo (1940) at 10:45 am Monday: TCM's daytime theme of prison escapes features the last of nine films starring Joan Crawford and Clark Gable. 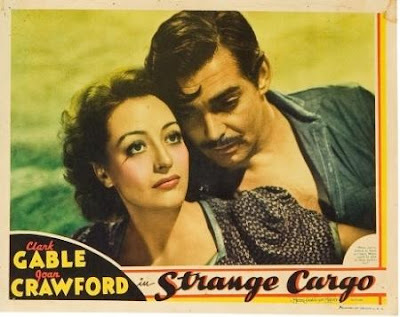 This intriguing drama from director Frank Borzage features shady lady Joan and prisoner Clark attempting to escape from a French penal colony. More screen teams: Farley Granger and Cathy O'Donnell make a potent screen team in They Live by Night (1949) at 4 pm Monday about two juvenile delinquents on the run from the law. 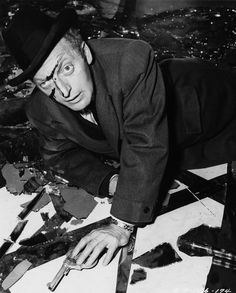 Everett Sloane in The Lady from Shanghai (1948). The Lady from Shanghai (1948) at 10 pm Monday: TCM's first night of great movie endings features this landmark noir from director and star Orson Welles. The great character actor Everett Sloane (you know him as Mr. Bernstein in Citizen Kane) plays the sleazy lawyer husband of femme fatale Rita Hayworth. Sloane has one of the best kiss-off lines in movie history in the justly famous hall of mirrors scene. More great movie endings: The spectacular end of the giant ape in King Kong (1933) at 11:45 pm is one of the most familiar moments in movie history, but no one ever went out with quite as much bang as James Cagney in the gangster film White Heat (1949) at 5:30 am. 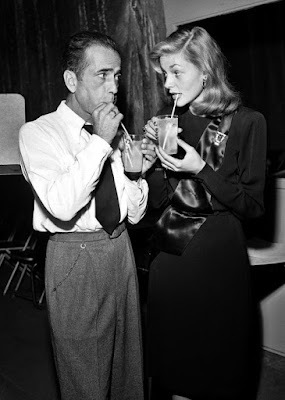 The Big Sleep (1946) at 11:15 am Tuesday: Humphrey Bogart and Lauren Bacall share fizzy drinks on a break from filming this famously complex noir. The Big Sleep is part of a daytime theme of movies about blackmail. More movies about blackmail: Warner Bros. nail-biting version of Wilkie Collins' Victorian chiller The Woman in White (1948) is airing at 4:30 pm. It stars Eleanor Parker as a young woman who is tormented out of her large inheritance. The Searchers (1956) at 2:30 am Tuesday night/Wednesday morning: Director John Ford's Western masterpiece is part of TCM's second night of great movie endings. 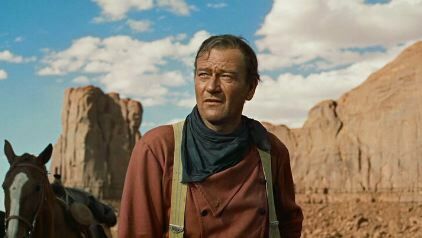 Ethan Edwards (John Wayne) walking off into the distance is one of the most iconic final scenes in American films. More great movie endings: Charlie Chaplin and Paulette Goddard have an uncertain future at the end of the great comedian's satire of urban life, Modern Times (1938) at 10 pm. 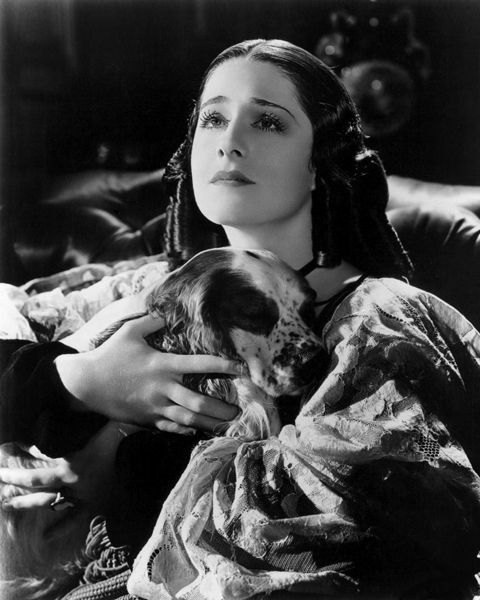 Norma Shearer as poet Elizabeth Barrett Browning in The Barretts of Wimpole Street (1934). The Barretts of Wimpole Street (1934) at 10:30 am Wednesday: My fellow CMBA member Patricia Nolan-Hall chose the original version of The Barretts of Wimpole Street as her TCM pick for March. You can read her excellent article here. The film is part of a daytime lineup about poets and playwrights. More poets: Jose Ferrer won a best actor Academy Award for playing the lovelorn poet in the 1950 version of Cyrano de Bergerac airing at 8:30 am. Breakfast at Tiffany's (1961) at 8 pm Wednesday: Audrey Hepburn's iconic performance as New York City party girl Holly Golightly is part of a night of films featuring romantic endings. Deborah Kerr and Cary Grant in An Affair to Remember (1957). 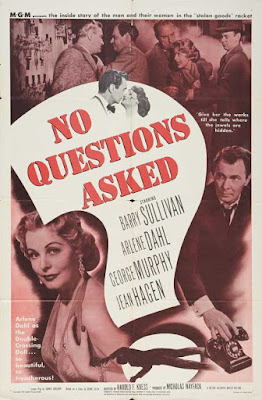 An Affair to Remember (1957) at 10:15 pm Wednesday: From my review, "It's true that An Affair to Remember has too many kiddie choir scenes and a plot line that was creaky in 1957, but the movie is still a grand entertainment. Grab your hankie and a bowl of popcorn and get swept away by one of old Hollywood's great romances." More romantic endings: Bette Davis and Paul Henreid exchange romantic glances and cigarettes in the final moments of melodrama Now, Voyager (1942) at 4:30 am Wednesday night/Thursday morning. An American in Paris (1951) at 2 pm Thursday and Shall We Dance (1937) at 4 pm Thursday: TCM's daytime lineup of ballet classics features two 's wonderful films with George Gershwin scores. First up is the Oscar-winning musical starring Gene Kelly (it's not ballet, but Kelly's rendition of "I Got Rhythm" (clip above) is a wonderful blend of music, lyrics, and dance). Next, Fred Astaire and Ginger Rogers fall in love to a wonderful Gershwin score that includes the iconic "They Can't Take That Away from Me." More ballet: If you like your dance with a side order of crazy, the tune in for the pre-code horror film The Mad Genius (1931) at 10 am. This bizarro film features a ham-tastic John Barrymore (he chews through the scenery and then some) as a deranged showman who is obsessed with dancer Donald Cook. 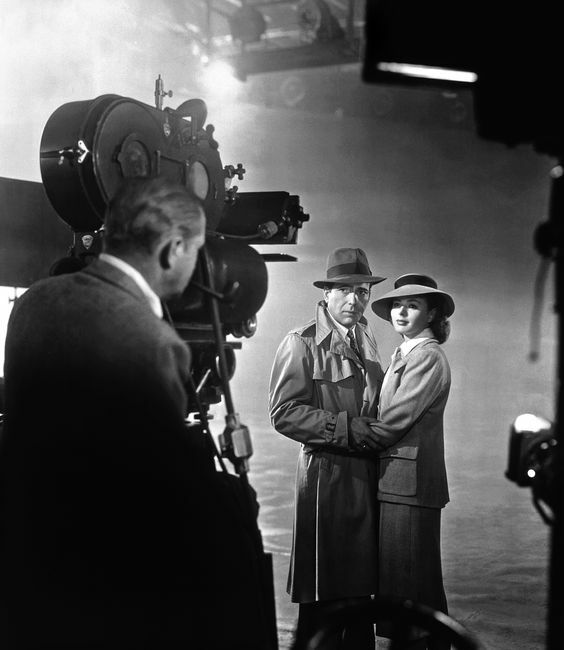 Humphrey Bogart and Ingrid Bergman film the final scene from Casablanca (1942). 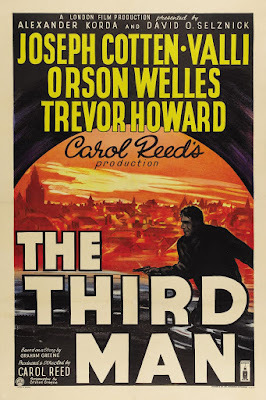 TCM's lineup of movies with famous last words has four of old Hollywood's most iconic films. The night starts out with Sunset Boulevard (1950) at 8 pm ("all right, Mr. De Mille, I'm ready for my closeup") and Gone With the Wind (1939) at 10 pm ("tomorrow is another day"). Next up is Casablanca (1942) at 2 am ("I think this is the beginning of a beautiful friendship") and Citizen Kane (1941) at 4 am (TCM programmers are probably thinking about "Rosebud" here, but the actual last lines of spoken dialogue in Citizen of Kane are "c'mon everybody. We'll miss the train"). 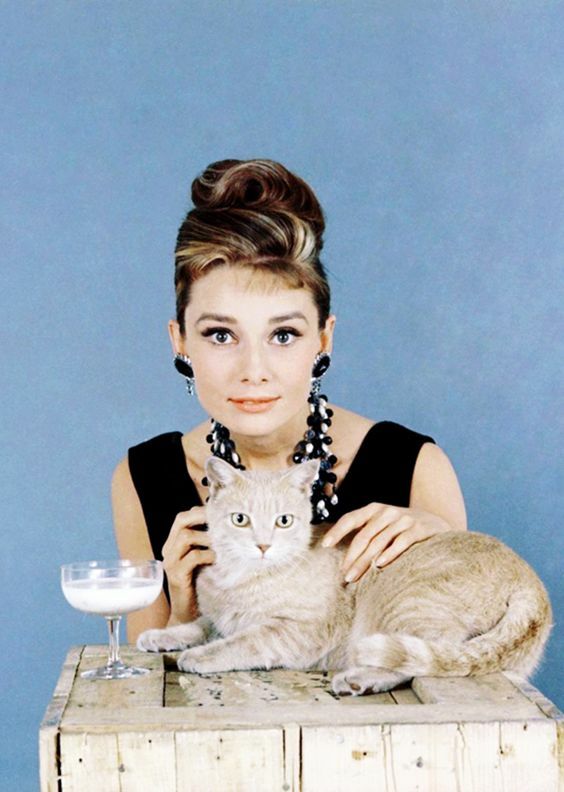 This all-time great leading lady was born March 23 (probably in 1904, but we're unsure of the exact year) in San Antonio, Texas. TCM has a nice overview of her legendary career starting with her flapper days (This Modern Age (1931) at 6 am) and her MGM heyday (the early noir A Woman's Face (1941) at 9 am). Joan later became the queen of Warner Bros. in noirs like the great Flamingo Road (1949) at 11 am. Her later career is well-represented by Autumn Leaves (1956) at 6 pm, which many people tell me is their favorite Joan Crawford movie. 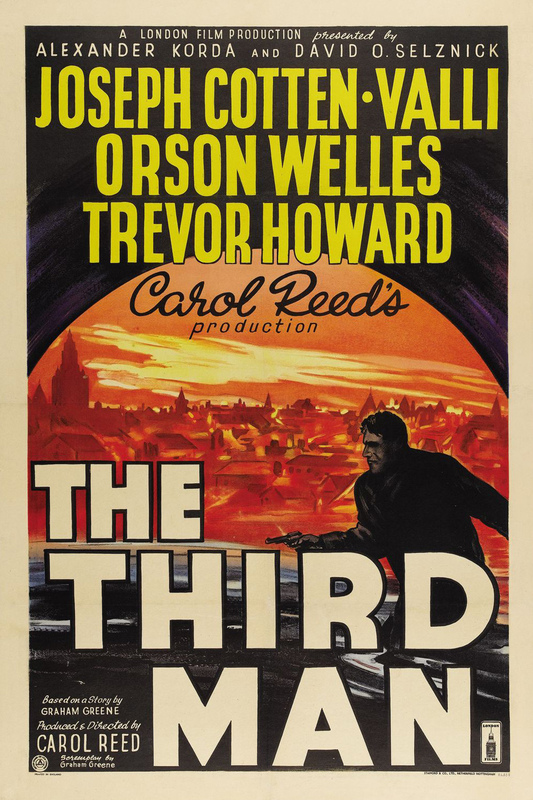 The Third Man (1949) at 8 pm Friday: This classic noir about a naive American writer (Joseph Cotten) who is looking for an old friend (Orson Welles) in Postwar Vienna is the best film from the vastly underrated British director Carol Reed. More Reed on FilmStruck: The Internet streaming service from TCM and The Criterion Collection has more great films from Reed. In addition to The Third Man, there's The Fallen Idol (1948) a wonderful noir told from a child's point of view, and Odd Man Out (1947), which established both Reed and star James Mason as major international talents. There's also the charming children's film, A Kid for Two Farthings (1955). 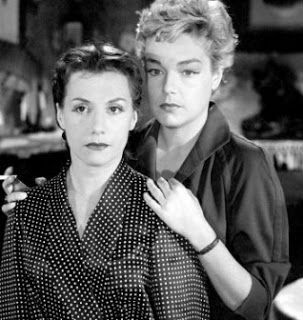 Vera Clouzot (left) and Simone Signoret in Diabolique (1955). Diabolique (1955) at 10 pm Friday: This French film about two women (Vera Clouzot and Simone Signoret) who conspire to murder the one's loutish husband (Paul Meurisse) has one of the greatest shock moments in movie history (if you haven't seen the film before, all I'll say is that it involves a bathtub). 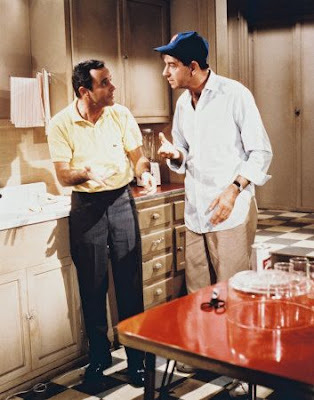 Jack Lemmon (left) and Walter Matthau in The Odd Couple (1968). The Odd Couple (1968) at 8 pm Saturday: Jack Lemmon and Walter Matthau made 10 films together, but they were never better (or funnier) than in this Neil Simon comedy about battling roommates Felix (Lemmon) and Oscar (Matthau). No Questions Asked (1951) at midnight Saturday night/Sunday morning and 10 am Sunday: This B movie features Barry Sullivan as a broke insurance investigator who gets mixed up with the mob. Noir fans won't be surprised when I tell you that poor, dumb Barry was inspired to take up a life of crime by a dame (Arlene Dahl). 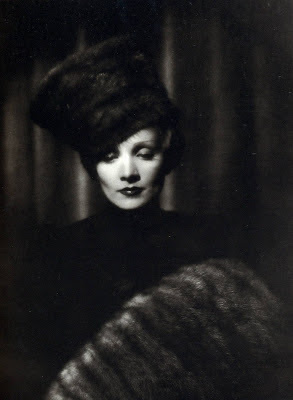 The Scarlet Empress (1934) at 6:30 am Sunday: This Marlene Dietrich-Josef Von Sternberg biopic about Russian Empress Catherine the Great can be fiendishly difficult to find, but it's well worth the effort to set your DVR for Sunday morning. 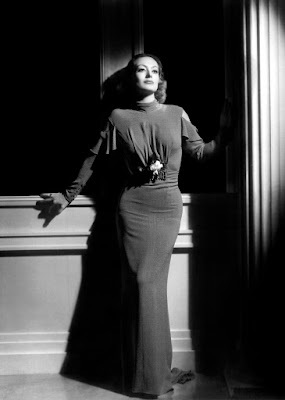 This proto-feminist film about one woman's struggle in a man's world has gorgeous costumes, stunning sets, and a wonderful lead performance from la Dietrich. A Night to Remember (1958) at 10 pm Sunday: There are a lot of films about the sinking of the RMS Titanic, but this British film stands out as the most historically accurate and engrossing movie about the maritime disaster. More Titanic movies: Titanic (1953) at 8 pm is a superbly acted melodrama starring Barbara Stanwyck, Clifton Webb, and a young Robert Wagner. Anna Mae Bilson and Harold Lloyd in Now or Never (1921). The Sun-Down Limited (1924) and Now or Never (1921) starting at 12:15 am Sunday night/Monday morning: This week features two films about children on trains. The early Our Gang short The Sun-Down Limited finds the group of friends building their own train. 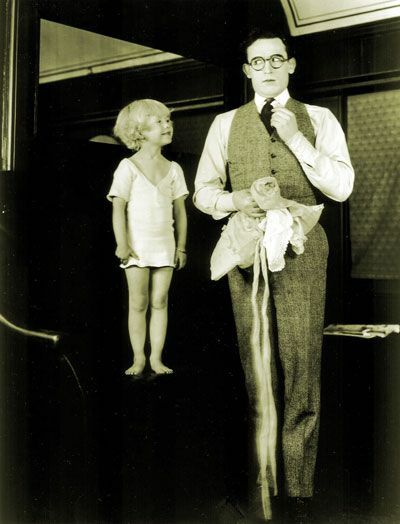 Harold Lloyd has to accompany a little girl (Anna Mae Bilson) on a train in Now or Never. This cute short allows Lloyd to showcase his daredevil style of comedy through a series of elaborate stunts. Thanks for the shout-out for the Barretts. I hope people give it a look, along with your excellent suggestions in the line-up. Love your "poor, dumb Barry" line for No Questions Asked. Guys! Another girl just sees right through Arlene.